After more than a decade spent running sketchy online marketing schemes, JustFab's founders have made it big in Silicon Valley. But have they changed their ways? In January of last year, Adam Goldenberg reached one of the largest-ever deceptive advertising settlements with the Federal Trade Commission, with one of his companies agreeing to pay more than $26 million in penalties for peddling a miracle weight-loss powder. Seven months later, he received a different kind of honor: JustFab, his e-commerce startup, was valued at $1 billion by investors, making it a “unicorn,” Silicon Valley’s most coveted achievement. The journey of Goldenberg and his longtime partner, Don Ressler, from the murky fringes of internet marketing to the pinnacle of paper wealth in Silicon Valley is the story of how two men, for a decade, have been conning consumers into subscriptions for anti-aging shampoo and wrinkle cream under the guise of “brand-building” and “innovation.” Since at least 2004, consumers have accused the men’s businesses of exploiting their credit card information and sticking them with unwanted charges — complaints that are stacking up at JustFab and Fabletics. But that history hasn’t stopped some in tech from viewing its business as The Next Big Thing. The men have raised more than $300 million in equity funding for JustFab, more than either Gilt Groupe or Warby Parker, from venture capital firms like Matrix Partners and Technology Crossover Ventures — small shops by Silicon Valley standards, but ones that have invested in other big names like Gilt, Dollar Shave Club, and Spotify. It also hasn’t turned off JustFab’s celebrity backers, including Kimora Lee Simmons, who served as JustFab’s creative director until May, as well as Kate Hudson and her brother Oliver. And it has attracted little scrutiny from the tech and business press that have covered JustFab’s rise, with outlets like Bloomberg News and the Wall Street Journal instead focusing on its lucrative business model, which is to sign up shoppers to recurring $30 to $50 monthly subscriptions for discounted clothes and shoes. Consumers, even if they don’t choose to receive any items, are charged unless they remember to opt out in the first five days of the month. It’s a model the company says will rake in $500 million this year across sites including JustFab, Kate Hudson’s Fabletics, FabKids, ShoeDazzle, and FL2. That puts the company in the big leagues: The Container Store brought in about $780 million in sales last year, while Vera Bradley posted about $509 million in revenue. While JustFab has yet to post a profit, Goldenberg recently deemed last year’s funding a “pre-IPO round.” A spokesperson for JustFab said the company is on track to post a profit this year. From left: Don Ressler, Kimora Lee Simmons, and Adam Goldenberg. But while JustFab has revenue streams befitting a unicorn, its predecessor companies were less ethereal beasts. For more than a decade, starting at MySpace’s parent company, Goldenberg and Ressler’s customers have frequently complained of getting tricked into recurring credit card charges and fooled by deceptive advertising and misleading promises — promises the FTC said sounded “like magic pixie dust” in a warning to consumers regarding the diet product Sensa. It made more than $300 million in sales before the federal regulator intervened. The ugly hallmarks of those past enterprises live on in JustFab: The company and its affiliates, for all their happy customers, have often been accused of deceiving shoppers who think they’re making a single purchase into signing up for a subscription that automatically charges them each month unless they opt out within a five-day window. The sites use terms like “VIP Membership” instead of “subscription,” and JustFab and Fabletics in particular downplay the options for avoiding charges each month; cancellations require lengthy phone calls. Consumer watchdogs have received a flood of complaints over the practices, and Facebook, Twitter, and review sites are home to many others from the U.S., the U.K., and Australia. Goldenberg has deemed such complaints to come from “a very, very small minority” of unhappy users, but the numbers are considerable. JustFab amassed more than 1,400 Better Business Bureau complaints between August 2012 and the middle of last month. To put that in perspective, it’s more complaints than Time Warner Cable racked up in New York City in the same period; Spirit Airlines, one of the country’s most-hated companies, racked up about 2,500. JustFab has hardly the name recognition of those companies. Its accreditation with the BBB was revoked in May. The FTC, in response to a Freedom of Information Act Request from BuzzFeed News, sent over another 234 complaints about JustFab from consumers railing against deceptive subscriptions and excessive email marketing. Its legal troubles have also mounted, with the company reaching settlements over its business practices with a group of district attorneys in California, the Florida attorney general, and a separate Florida consumer who filed a lawsuit in 2011. “As a company that has gone from 0 to in excess of 3.5 million customers in five years, we have had inevitable bumps along the way,” JustFab’s spokesperson said in an email, noting that the business has at least an 8 out of 10 on ResellerRatings.com from more than 60,000 consumers. “Customer satisfaction is a top priority for us and when there are issues with service, product quality, shipping deadlines, and the like we always do everything we can to make it right.” The spokesperson said the BBB complaints represent less than 0.001% of the 3.5 million customers JustFab acquired in the same period. Goldenberg, 34, and Ressler, 43, declined to be interviewed for this story. There’s a chance, of course, that all of the people who feel duped by JustFab are wrong. Sensa agreed to a nearly $50 million judgment with the FTC last year, though it could pay only about half that. (Ressler wasn’t named in it.) Goldenberg and Ressler are still fighting lawsuits over Sensa after the business collapsed late last year, including one from Bank of America that also names JustFab as a plaintiff. For at least six brands associated with the two men before JustFab and Fabletics, customers complain they signed up for a “free trial” of the product, entering their credit card details to cover a $4 to $5 shipping fee. But if the product wasn’t returned within a few weeks — and accounts from customers say this was incredibly tough to do — they ended up with anywhere from $50 to $100 in charges and a recurring subscription that was a nightmare to cancel. “From day one, we have been upfront about our flexible subscription model, the value it creates for our customers, and its terms of service,” JustFab’s spokesperson told BuzzFeed News. JustFab’s backers have little to say about the company, its predecessors, and the litany of complaints against them. Passport Capital and Technology Crossover Ventures declined to comment while Matrix Partners and Rho Ventures didn’t return multiple phone calls and emails. JustFab told BuzzFeed News it doesn’t publicly disclose the full membership of its board of directors, though press releases have named TCV’s John Drew, Rho’s Mark Leschly, and Matrix’s Josh Hannah. Reps for Kimora Lee Simmons and Kate Hudson also declined to comment. Walker, the Santa Cruz assistant DA, said his first contact with Goldenberg involved Sensa. In 2012, before the FTC stepped in, he was part of a group of California DAs who reached an $800,000 settlement with Sensa and its parent company, Intelligent Beauty, after finding fault with the company’s advertising claims, its use of the word “free,” and, of course, its automatic subscription enrollment and shipment of products to customers. Goldenberg, a wunderkind who joined Intermix in his late teens, became the president of Alena in 2004. The unit trumpeted its expertise in cost-effectively building brands online and selling “high margin” and “innovative” items straight to consumers. In practice, it was papering the internet in ads for Dream Shape diet pills and Hydroderm antiwrinkle creams, promising “better than Botox” results and offering up free trials. The Business Consumer Alliance, which is the former Los Angeles affiliate of the BBB and oversees complaints to the bureau made before March 2013, sent BuzzFeed News more than 600 complaints filed against Alena between 2004 and 2006 from across the country. Goldenberg and Ressler left Intermix shortly after the News Corporation acquisition, creating an entity called Brand Ideas, which merged with a marketing group to become Intelligent Beauty in 2007, according to its website at the time. The two men were co-CEOs of the company, which would later spawn Sensa and JustFab. Intelligent Beauty said it planned to use the internet and home-shopping channels to “powerize” its “electronic brand building” efforts. In practice, that meant a factory of winking pop-ups, banner ads, advertorials, and landing pages everywhere from Yahoo Mail to AOL and MSN, displaying pictures of old women transforming into young ones and scales tipping to lighter numbers. The rapid A/B testing and modification of these ads has always been Goldenberg’s strength, said two former employees, who spoke on the condition of anonymity. Spammy examples still live on the website of one of its marketers, Click Here Copywriting & Creative, which heralds its abilities to feed search engine spiders and design clicky, “emotionally charged” ads. It’s the kind of thing you look at and instinctively want to close. It didn’t take long for Intelligent Beauty to face the same consumer backlash that Alena’s products drew. The BBB fielded hundreds of complaints regarding the company’s free trial offers and frustrating return processes between the end of 2006 and 2010, according to documents from the Business Consumer Alliance. The FTC, in response to BuzzFeed News’ FOIA request, shared 66 complaints made about Intelligent Beauty between 2010 and 2013 naming Kronos, Sensa, and JustFab. 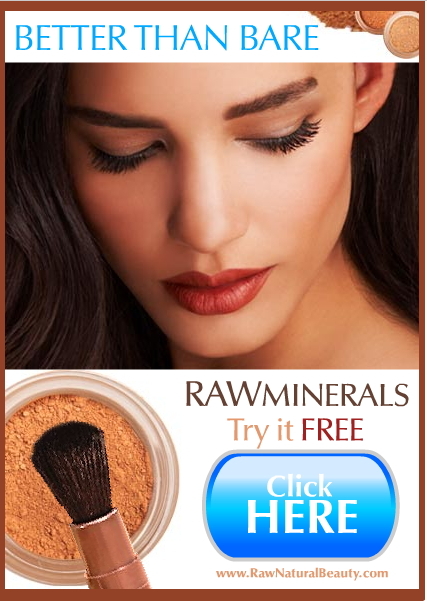 Consumer watchdogs criticized a number of its ads, and in 2009, Bare Escentuals sued Intelligent Beauty for making a blatant knockoff of its Bare Minerals line and advertising it as “Better than Bare.” Part of the company’s beef with the brand: “highly misleading and fraudulent” offers. The lawsuit was settled in 2010. Intelligent Beauty’s tactics disproportionately hurt poor customers who were hit with unexpected overdraft fees after failing to return products or cancel unwanted subscriptions. That same problem features in plenty of complaints today about JustFab and Fabletics; the company line is that JustFab doesn’t reimburse users for “non-company charges” like bank fees and phone bills. Here’s what customers see today when looking to buy one of JustFab’s products, from landing on the site for the first time all the way through to agreeing to a monthly subscription — an agreement many have said they did not understand they were making. In this example, we looked through the company’s Fabletics site, which sells exercise gear. When Intelligent Beauty’s angry customers took their complaints to the BBB, the company typically offered refunds. But its stock responses apologized only for their “misunderstanding” of “fully disclosed” terms and conditions. “I’m sorry that you didn’t have the opportunity to read this information when it was sent to you,” one customer service rep wrote in response to a 2007 complaint. So many customers started contesting unwanted charges that Intelligent Beauty came under pressure from credit card companies to reduce these chargebacks, according to three former employees who spoke on the condition of anonymity. The solution: Buy a legitimate website called Dermstore.com to help balance out transactions. Dermstore, founded by a dermatologist named Craig Kraffert in 1999, has been touted as one of Goldenberg and Ressler’s great successes. The purchase closed in early 2008 and the website was sold to Target in 2013 for somewhere around $100 million. Intelligent Beauty quickly sought to integrate its own labels into Dermstore. When it bought the company, four trademarks were involved; by the time of the Target acquisition, Dermstore listed 61 properties on its trademark filing and a whopping 495 domain names. Among them: tryIQDermaFree.com and trykronosfree.com. But Goldenberg and Ressler were largely uninvolved with Dermstore, the former employees say, because 2008 brought them their most notorious scheme yet: Sensa. Sensa, oddly, is still hailed as a Goldenberg and Ressler success story on JustFab investor Matrix Partners' website, and for a few years, it did quite well. Now it’s better known as one of the largest weight-loss scams ever targeted by the FTC and as the bureau’s second-biggest deceptive advertisement settlement ever. Sensa attracted 1,043 consumer complaints between October 2008 and 2014, according to the Business Consumer Alliance, many over — guess what? — unclear 30-day, risk-free trials. Sensa’s bogus claims were supposedly based on 25 years of “research and testing” from a Dr. Alan Hirsch, who, as it turns out, created Sensa and owned 10% of the business — the rest was owned by Intelligent Beauty. The FTC poured cold water on Hirsch’s heavily advertised studies, saying there was “no scientific evidence this type of weight-loss product works." It also accused Sensa of buying customer endorsements. Goldenberg, as a former CEO and board member of Sensa, was among those named in the judgment, which was reduced from $46.5 million to $26.5 million based on the company and its executives’ “inability to pay.” That inability is notable, given that the FTC said Sensa brought in more than $364 million in sales between 2008 and 2012. Sensa sought to stay in business with modified advertising but eventually ceased operating in October 2014, 10 months after the FTC judgment, choosing an alternative to bankruptcy called an “assignment for the benefit of creditors.” Multiple lawsuits have emerged since then, with creditors chasing Goldenberg, Ressler, JustFab, and even Technology Crossover Ventures in pursuit of Sensa’s unpaid debts. By the time Sensa was flaming out, Goldenberg and Ressler were well into another project: JustFab. The company was formed in 2010, and in September 2011, JustFabulous, as it was known then, announced a $33 million Series A funding round and the appointment of Kimora Lee Simmons as its president and creative director. (Simmons reportedly ended her creative director stint in May to focus on her new brand.) The startup made a series of major moves in 2013: It acquired a children’s subscription service called FabKids that was co-founded by actress Christina Applegate, then bought the Kardashian-associated ShoeDazzle, and finally launched Fabletics with Kate Hudson. In reality, court documents filed since then show that Sensa was insolvent as of October 2013. While it posted about $37 million in profit overall, the court-appointed law firm working to recover cash for creditors says Sensa made less than $1 million in 2012 and lost $26 million in 2013. And further, court documents filed in connection with Sensa’s dissolution show that at least some proceeds from the highly vaunted Dermstore sale went to paying the FTC. It casts a sketchy light on the roots of JustFab’s initial funding. Goldenberg said in an April interview — on a YouTube video titled “What’s It Like To Be A Unicorn?” — that Intelligent Beauty put $33 million into JustFab. JustFab’s spokesperson said it remains a minority investor. While she noted that that Sensa, Dermstore, and JustFab have been separate businesses with their own investors and executive management teams since 2010, court documents tell a different story. Bank of America amended a loan agreement with Sensa in December 2013, a month before the FTC settlement was announced, noting that proceeds from the Dermstore sale needed to be placed in an escrow account to cover the Sensa judgment. And now, Bank of America is suing Goldenberg, Ressler, and JustFab, claiming that the men essentially erased more than $20 million in JustFab obligations to Sensa and one of its guarantors after realizing Sensa was on the way out, according to an amended complaint filed just this month. Separately, Windmill Health Products, a distributor that got stuck with millions in worthless Sensa product after the FTC judgment, is going after Goldenberg, Ressler, TCV, and TCV general partner John Drew, alleging Sensa “completely downplayed the nature of the FTC investigation in 2013.” It has also filed a motion to amend its complaint to include JustFab, and has requested depositions of Goldenberg and Ressler. Windmill, like Bank of America, claims the men knowingly stripped Sensa of its assets to fund other ventures once it was clear the company was done for. It’s seeking $15 million plus punitive damages. JustFab has had other clashes with the law, though they haven’t been widely reported. The Florida attorney general’s office began investigating the company after receiving “hundreds of complaints” beginning in January 2010, concluding last year that “consumers were not properly made aware” they were signing up for monthly recurring charges. To resolve the investigation, JustFab agreed to make it clearer to customers that they were signing up for a subscription, promising website tweaks like placing billing terms within 300 pixels of the button used to complete orders. The company denied any wrongdoing. JustFab also settled a case in 2012 with a woman named Edna Betances-Harold, who didn’t realize she was signing up for a shoe-of-the-month club by making a purchase at JustFab. While the suit was filed as a class action, the parties settled partly because of JustFab’s “inability to fund any type of class wide settlement” and its willingness to modify disclosures on JustFab.com, according to an April 2012 court filing. JustFab and Fabletics also face frequent complaints over shipping delays and returns. JustFab now says it makes the subscription aspect of its business clear to users in 15 different ways, including: a description on its homepage and on its “Terms of Service” page, on a “How It Works” page, in its FAQs, through a pop-up for first-time customers, on each page of the checkout cart process, via emails, and deliveries and reminder emails. But for those who feel tricked, or blame themselves for failing to realize what they were signing up for, it may help to know that thousands have come before them. Some wonder what will come next if growth slows and the company’s founders, ever-aware of the need for new businesses to replace the old, begin looking at new opportunities. Some complaints from 2004, 2007 and 2009 describing Alena and Intelligent Beauty's typical schemes.